Enhanced Scanning Techniques. No More Missed Assets. Discover all your Windows machines with a Windows domain scan, script scan, or agent-based scan. 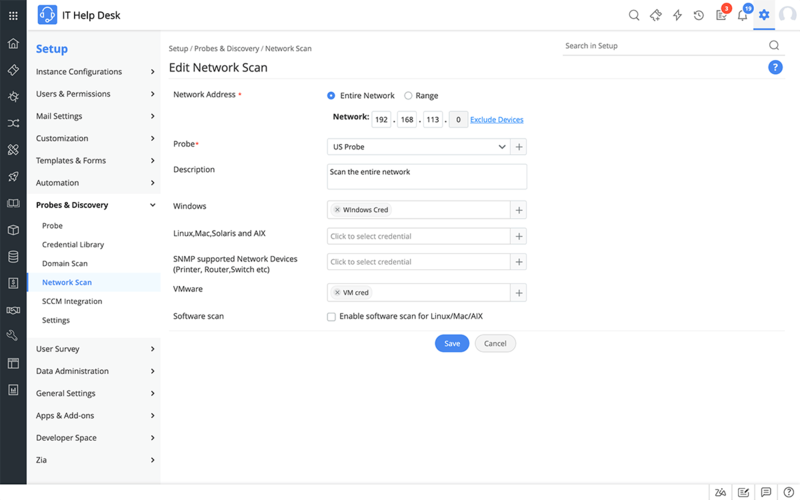 Use the network scan to discover non-windows machines (Linux, Solaris, MAC, and IBM-AIX machines), VMHost machines, and IP devices such as printers, routers, switches, and access points. Maintain a secure database of all your network and domain credentials with the built-in credential library. 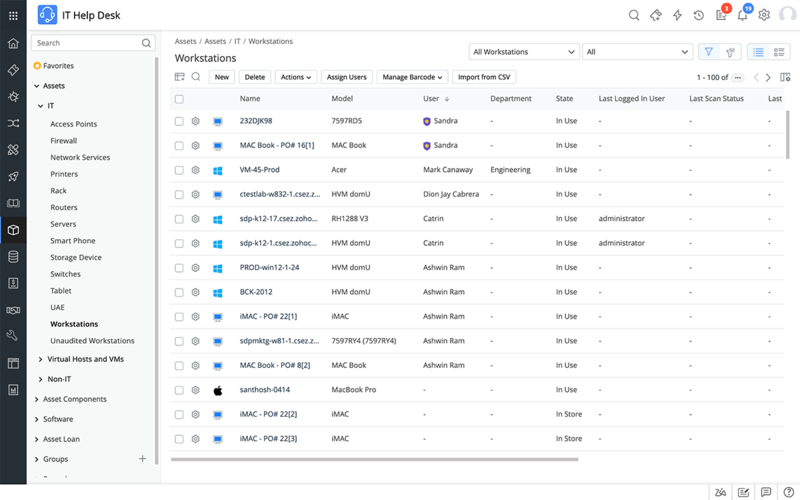 Configure and employ remote control tools from within ServiceDesk Plus to take control of any Windows or MAC workstations. Manage IT Inventories Across Sites. Aggregate Data into a Central Repository. Manually import all asset details from various sites using a simple remote scan technique. Assign imported assets to the respective sites for easy management. Schedule auto-synchronization of asset data from remote locations to the central ServiceDesk Plus server. Schedule Automated Scans. Stay Up to Date on Asset Information. 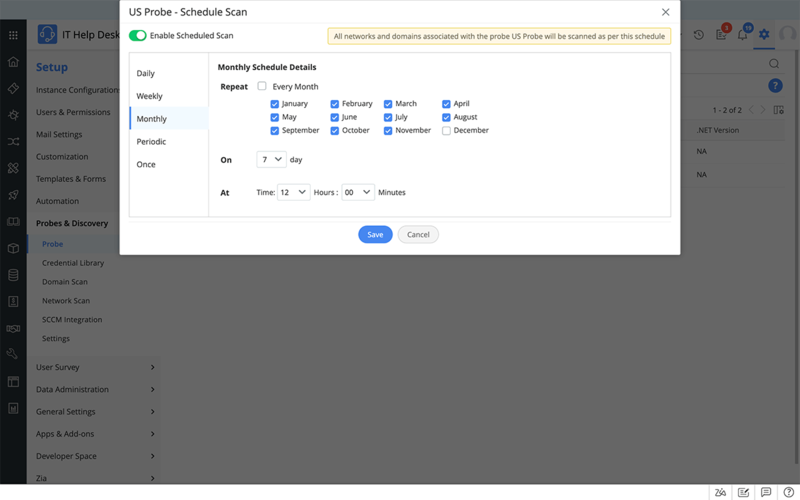 Schedule periodic audits and scans of your network to keep yourself updated about any changes in your IT environment. Notify technicians automatically of any change to IT assets during the network/domain scan. Schedule automatic re-scanning of your network to discover any new workstations added. Enable periodic 'scan history cleanup' to reduce data clutter. The asset management piece is probably the most important part of ServiceDesk Plus and the most helpful part of the tool. I would say that the asset management module has provided the biggest added value to the business. Guide : What is IT asset management?